This is one of those crazy items that we can't figure out whether we want to own or not but we do know that we admire the originality. 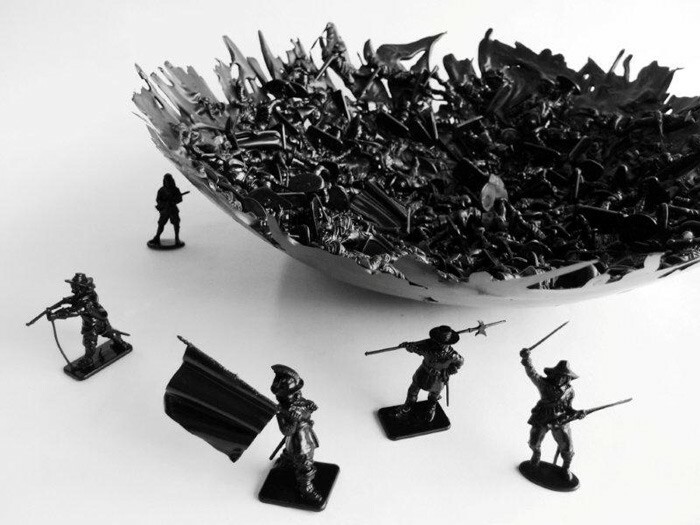 Designed by Dominic Wilcox, these bowls are one of a kind created with historically accurate figurines from the English civil war melted down. In order to celebrate the 10th anniversary of this creation, it is now available in black or red and comes with a loose set of soldiers for additional fun. Available here.